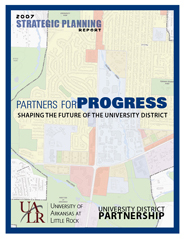 The University District Partnership will redevelop the areas around the University of Arkansas at Little Rock campus, creating a dynamic urban place and improving the quality of life for all persons who live, work, learn, play, shop, socialize, and worship in the area. 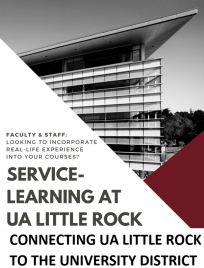 Located in the heart of the city and anchored by the UALR campus, the University District includes the homes, workplaces, and schools for thousands of families, workers, business owners, teachers, and students. The University District aims to be a thriving cultural and entertainment destination, regarded throughout the city as a neighborhood of choice—a walkable in-town district with excellent schools and services, vibrant commercial areas, rich cultural resources, and connections to open space and transit. The strategic plan was created in 2007 with help from several community participants. 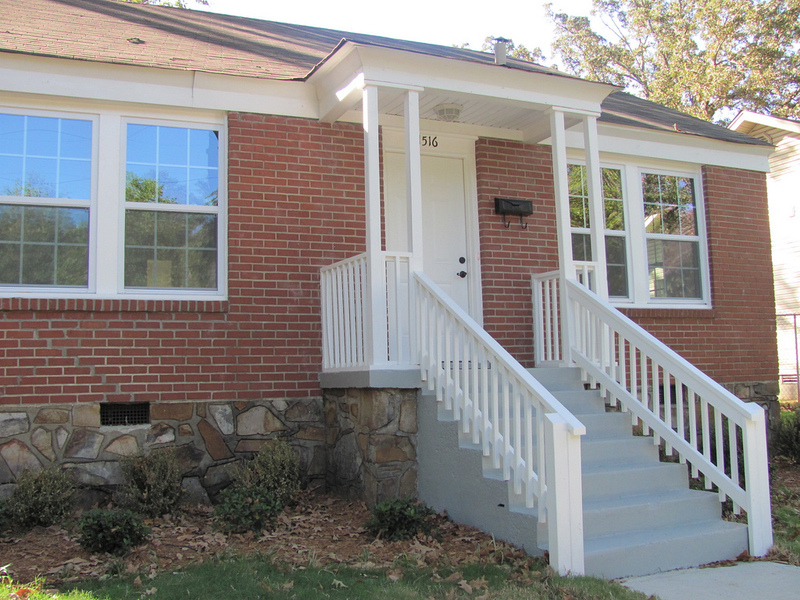 It outlines the goals for the area as well as steps to achieve those goals. 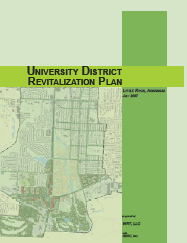 The Little Rock City Board of Directors adopted land use changes recommended by the University District Revitalization Plan. 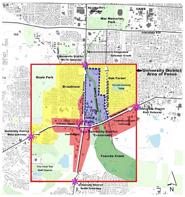 The land use plan is a visionary document that sets the overall direction for real estate development in the area.